American Bishop speaks out for Palestine! The following letter was written by American Catholic Bishop, Richard Pates of Des Moines, Iowa, and was addressed to US Secretary of State, John Kerry. 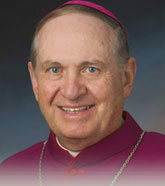 Bishop Pates is the chairman of the Committee of International Justice and Peace of the U.S. Conference of Catholic Bishops. Forthright statements like these are an indication that the tide is turning. I don’t expect that the US government will pay much attention to Bishop Pates, but as the trickle of protest from the church gradually builds into a torrent they will find it increasingly hard to resist being caught in the current. As Chair of the Committee on International Justice and Peace of the United States Conference of Catholic Bishops, I wrote you last May regarding the injustice being perpetrated in the Cremisan Valley near Bethlehem in the Occupied Palestinian Territories. Earlier this month, I made a solidarity visit to the Cremisan Valley together with brother bishops from Europe, Canada and South Africa. Enclosed you will find a statement that summarizes our reflections on the sad state of affairs. As I stood amidst the beauty of this agricultural valley and heard the testimony of the Christian families whose lands, livelihoods, and centuries-old family traditions are threatened, I was simply astounded by the injustice of it all. On the eve of the Supreme Court of Israel taking up this case, I ask you once again to urge the Government of Israel to cease and desist in its efforts to unnecessarily confiscate Palestinian lands in the Occupied West Bank. As I said earlier, the Cremisan Valley is a microcosm of a protracted pattern that has serious implications for the ongoing Israeli-Palestinian conflict and your commendable efforts to achieve a peace agreement. Tags: American Bishop, Bishop Pates, Catholic Bishops, israel and palestine, john kerry, Kerry, palestine, US. Filed under israel and palestine conflict by Father Dave on Jan 30th, 2014. Comment. Comments on American Bishop speaks out for Palestine! Palestine for Palestinians. All foreign jews go back to New York.